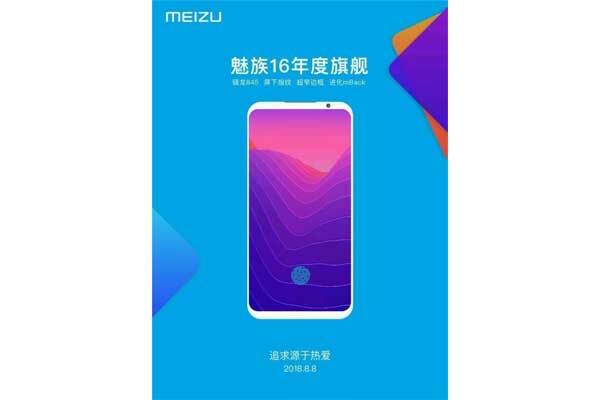 Home » Gadget » The figure Revealed, Meizu 16 Will Bring Snapdragon 845? The figure Revealed, Meizu 16 Will Bring Snapdragon 845? Next month Meizu reportedly will release the latest flagship mobile phone class. Is Meizu 16, the phone will be revealed by the pembesut on August 8 later. Well, as usual before this phone was released officially, Meizu was teasing the public by posting posters launch. As seen in the poster, Meizu 16 appears packed with full screen without bangs plus has a thin bezel, especially on the left and right. While the bottom and top bezels also appear narrow. At the top of the screen, precisely on the sidelines of the narrow bezel it seems to be a place for components, such as selfie cameras and earpieces are located. As shown in the picture, Meizu 16 also appears to be equipped with fingerprint sensor on the layer. For specifications, as the flagship class of this mobile phone will be diapaki by Snapdragon processor 845. As for the latest report, Meizu 16 and Meizu 16 Plus said it will arrive with a Super AMOLED layer supplied by Samsung. The aspect ratio of the screen is 18: 9, and both of these phones will present a very high layer to body ratio. In addition, this phone will come in two versions, namely with 6 GB of RAM and 8 GB. A recent report revealed that the duo Meizu 16 will be equipped AI Super Camera with Sony IMX380 sensor. Meizu 16 is also staying will be the thinnest mobile phone among flagship mobile phone because it will have a thickness of only 7.3 mm with a weight of 152 grams. Meizu 16 will come in a 6 GB RAM + 64 GB veris, 6 GB RAM + 128 GB version, and 8 GB of RAM + 128 GB each estimated at 399 USD, 356 USD and 445 USD. Meanwhile, Meizu 16 Plus is expected to be available with variants of RAM 8 GB + 128 GB and 8GB + 25 GB. 0 Response to "The figure Revealed, Meizu 16 Will Bring Snapdragon 845?"